The Reign couldn’t clinch a playoff spot on Saturday night. Not on their own in a 4-2 loss to the visiting Heat, and not with the help of Charlotte or San Jose, both victors on the road. Ontario has not lost many games of late, they’re 9-2-1 in their last 12, but in their last six they’ve been outscored 8-4 in the first period. 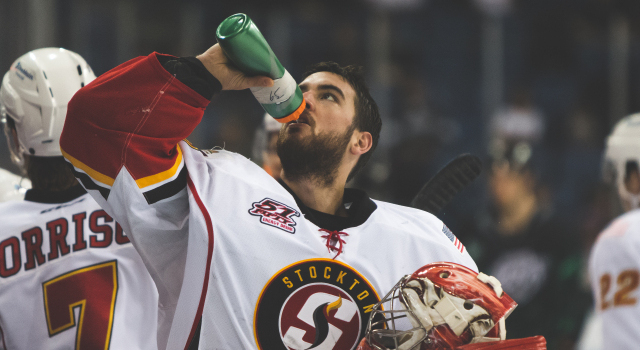 A poor start was their Achilles’ heel again (“Yeah, no kidding,” said Michael Mersch afterwards), as the Heat went up 2-0 after the first period on goals by Pat Sieloff and Hunter Shinkaruk less than a minute apart. When the Heat took a 3-0 lead on a Drew Shore goal 5:13 into the second, Jonny Brodzinski (who finished with an eye-popping 10 shots on goal) answered 7 seconds later to give his team a little life. 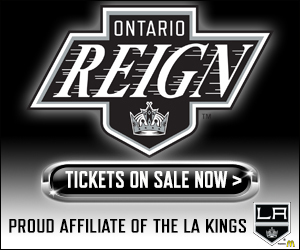 As was the case Friday night in a 4-2 Reign victory against this same team, special teams played a heavy factor, but this time not in Ontario’s favor. 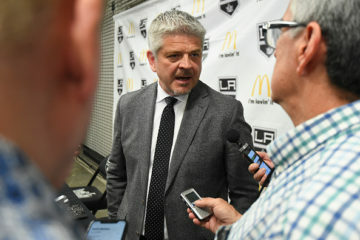 They went 0-for-4 on the man advantage (all in the second period alone) and couldn’t gain zone time on a pivotal 5-on-3 for 1:33 that head coach Mike Stothers said made him want to “hurl.” As expected, the Reign made a push in the third and cut the Heat’s lead to 3-2 on a Kurtis MacDermid blast from the point through traffic at 12:46. 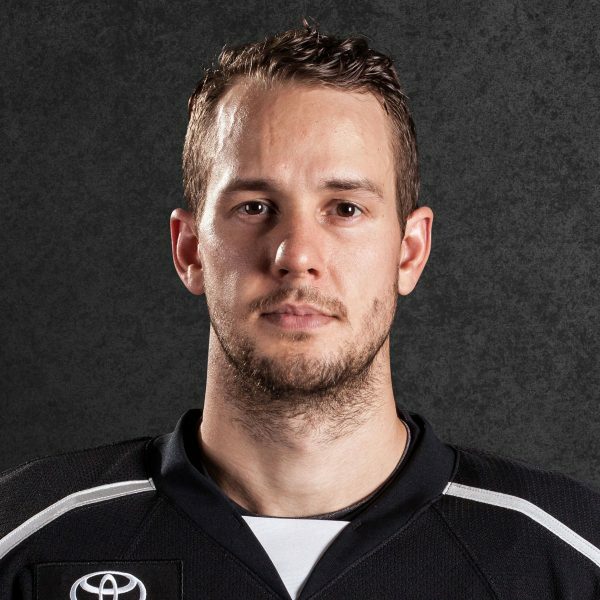 With goalie Peter Budaj pulled, the Reign had difficulty setting up and eventually were caught on an empty-netter by Derek Grant with 8 seconds left in the game. Budaj finished with 23 saves but was outmatched by Kevin Poulin, who helped his Heat team (28-27-2-2, .508) break a four-game skid with a 35-save performance. The Reign (39-16-4-1, .692) can clinch a playoff spot Sunday with a San Jose loss to San Diego. 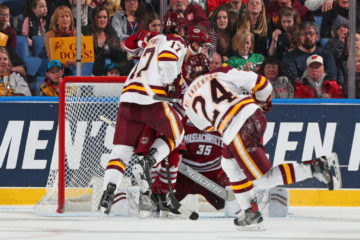 –Kevin Poulin – It was a rebound game for the Heat goaltender, who gave up four goals a night prior on 28 shots. Saturday was a much better outing and perhaps his biggest feat was stopping Brodzinski nine times, many of those attempts with no other players between the two of them. “I had about three breakaways on him and he saved every one of them, so, he played a really good game, that’s for sure,” Brodzinski said. Poulin also set up Grant’s empty-netter with a heads-up clearing pass and was credited with the assist. –Jonny Brodzinski – His line with Brett Sutter and Joel Lowry was consistently the best all game for the Reign. Stothers called the line’s play the “shining moment,” and labeled Brodzinski as “clearly the best player on the ice,” for his team. Brodzinski’s goal from the left circle, a one-time finish of a Sutter cross-ice feed, was his third in three straight games. 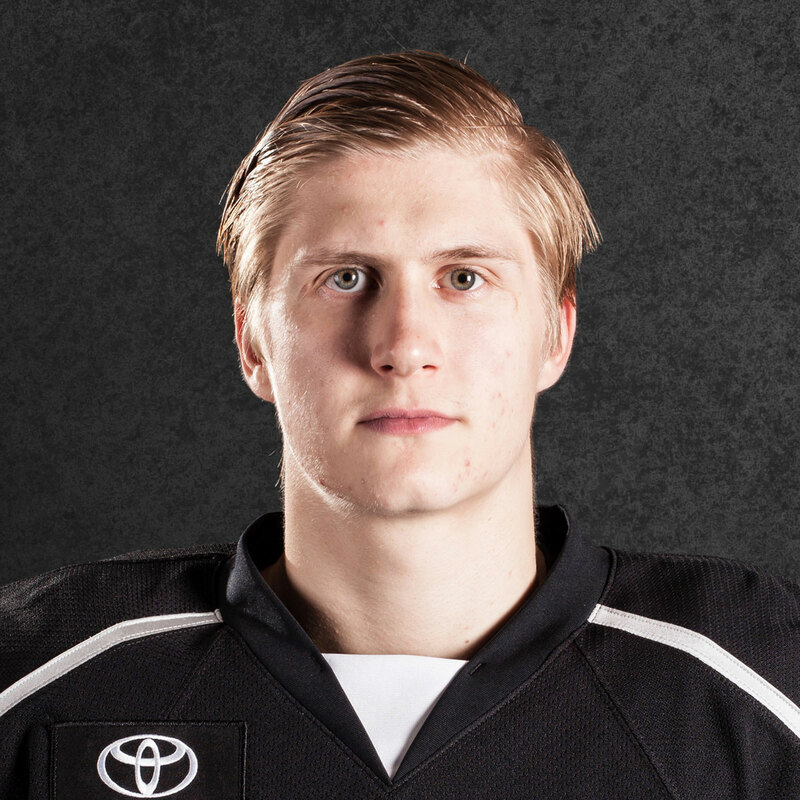 That point tied him with Kempe for the team’s rookie points lead at 25 (14 goals, 11 assists). 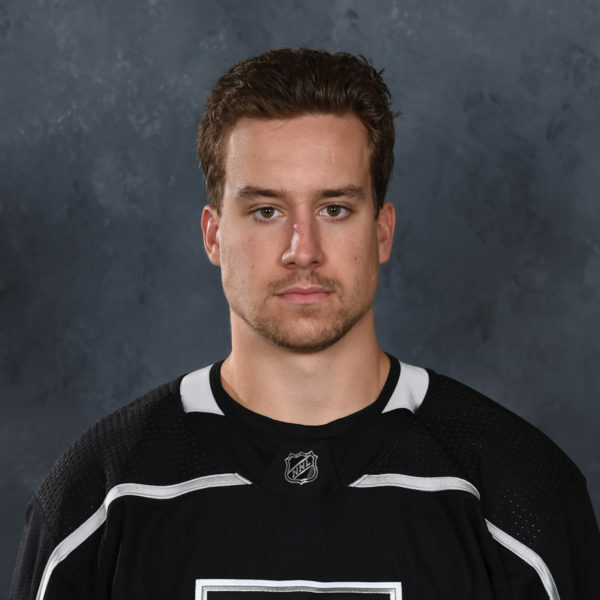 –10 – Brodzinski’s 10 shots on goal were the most from any Reign player all season, surpassing Dowd’s nine in a 4-2 loss to Charlotte on Jan. 2. Brodzinski’s previous personal high was 8. 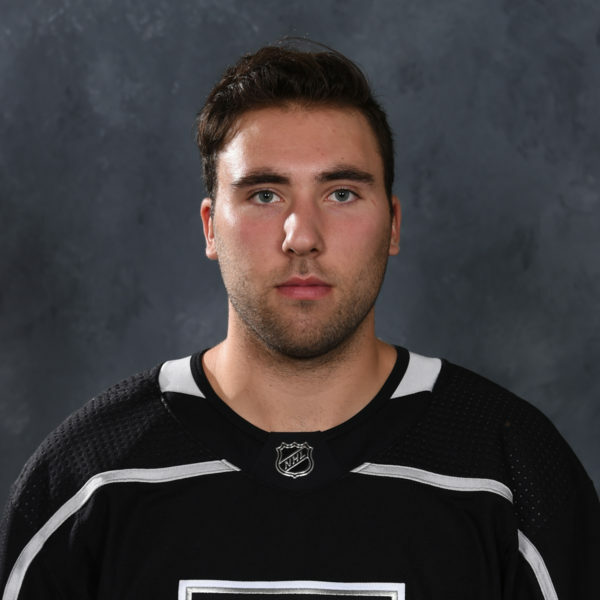 Center Dowd played in his third NHL game on Saturday night, his first win as a Los Angeles King in a 6-4 victory against Edmonton at Staples Center. Dowd registered 2 shots on goal, won 67 percent of his faceoffs and was a plus-1 in 11:17 minutes of ice time. … Forward Ryan Horvat was scratched and Jordan Samuels-Thomas returned to the lineup after missing two games due to a lower-body injury. The Reign are on the road for seven of their last eight games, starting with a 7:30 p.m. PT tilt on Wednesday in San Jose. That could be the Brodzinski brother showdown, as Jonny’s brother, defenseman Michael, made his debut with the Barracuda on Saturday night after leaving the University of Minnesota earlier this week and signing an ATO.